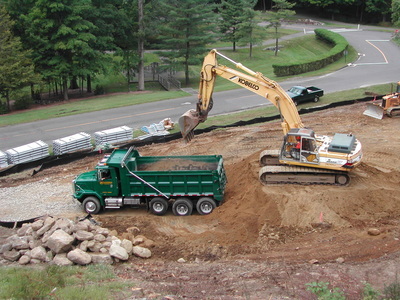 Gallery - Lawrence Construction Company, Inc.
On this ten acre job site Lawrence Construction has been preforming wide array of work developing a gated community. 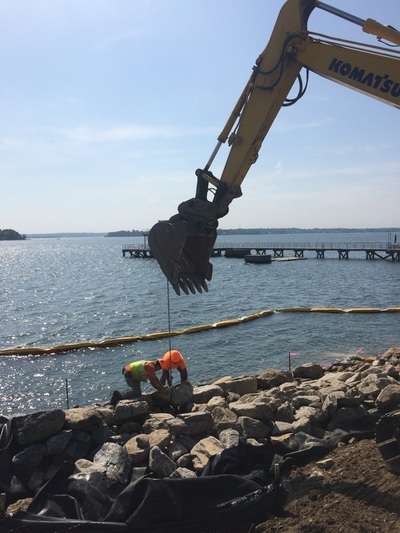 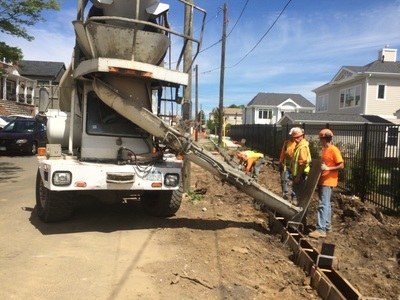 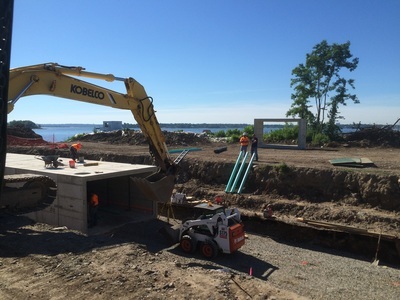 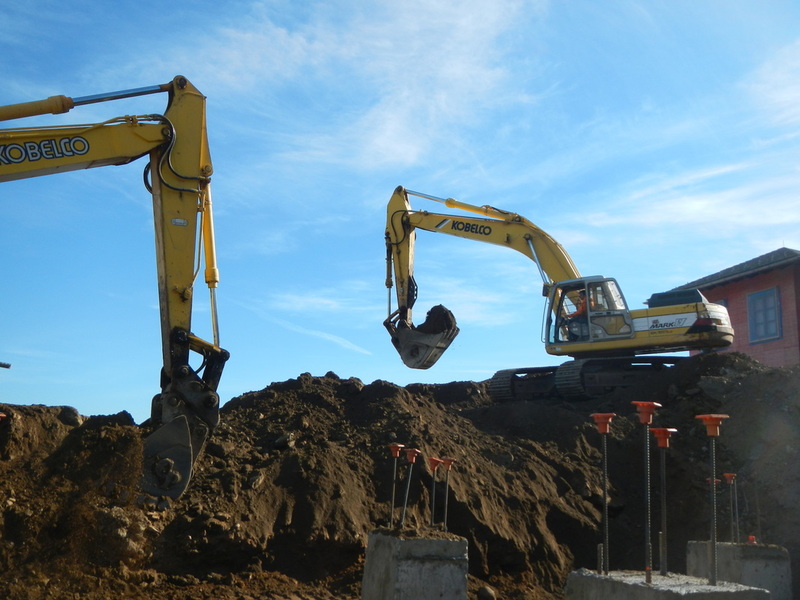 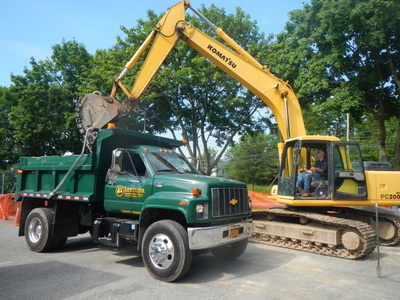 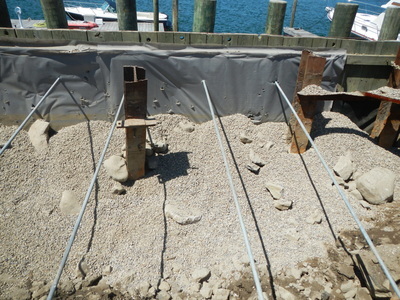 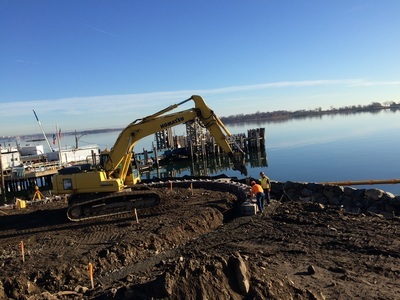 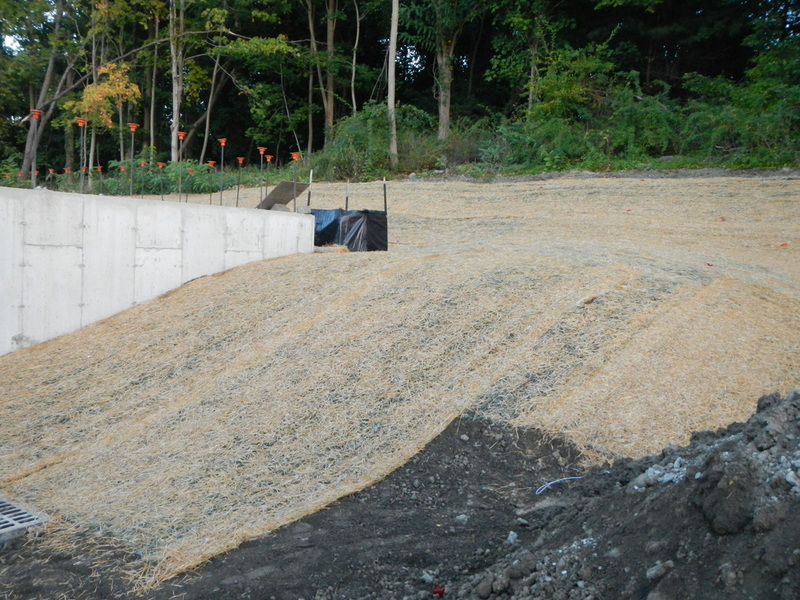 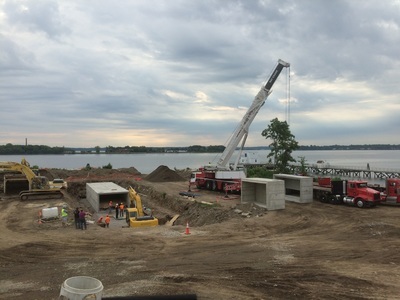 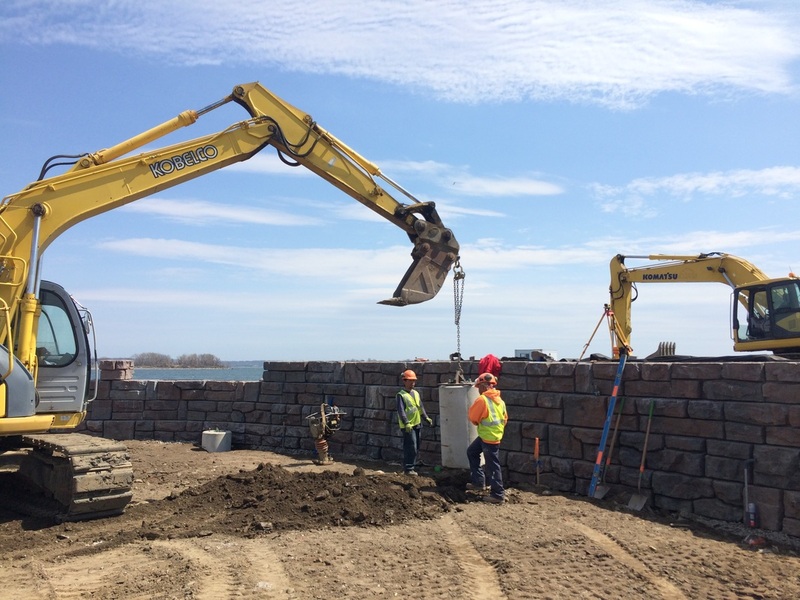 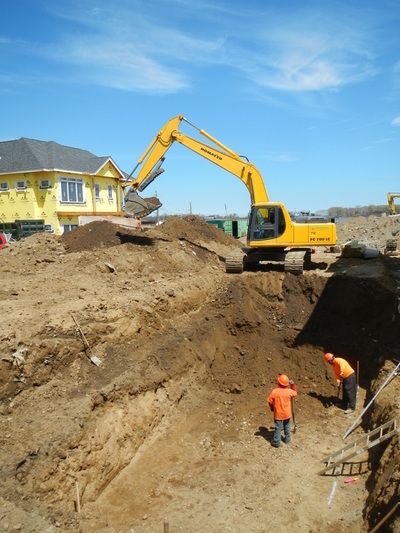 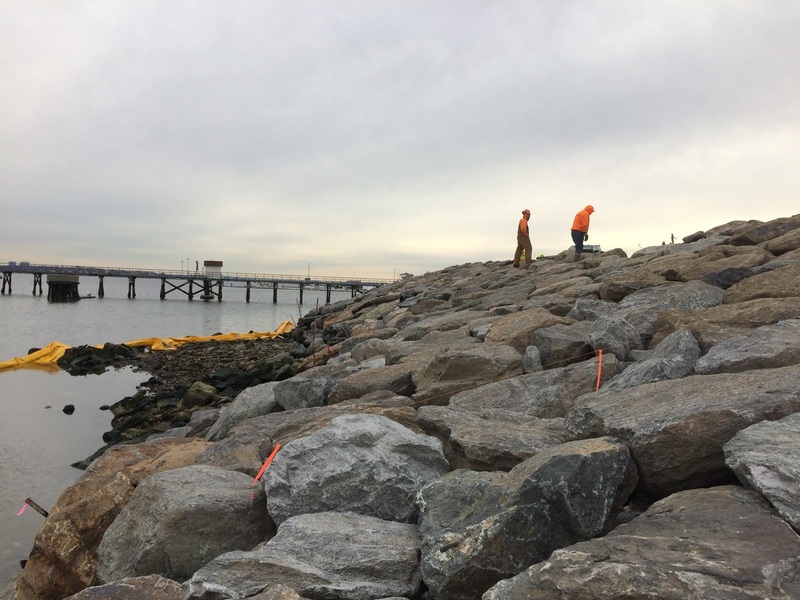 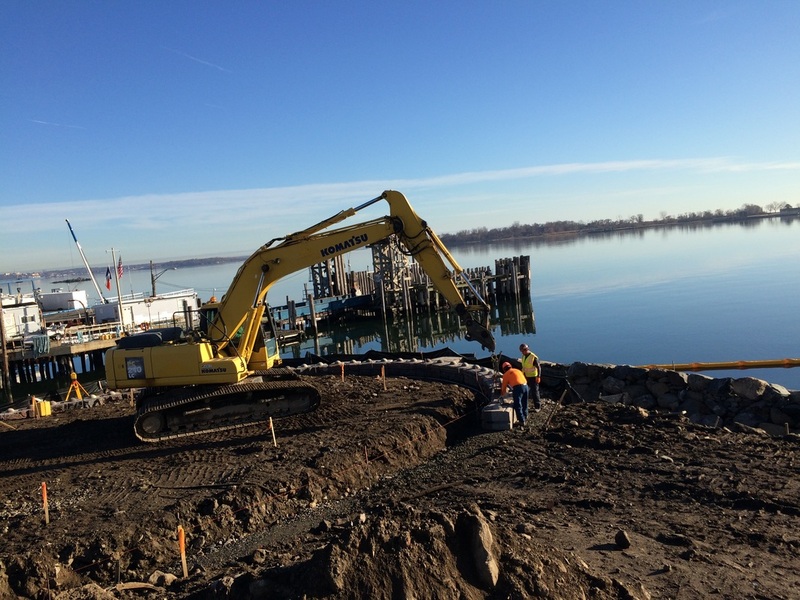 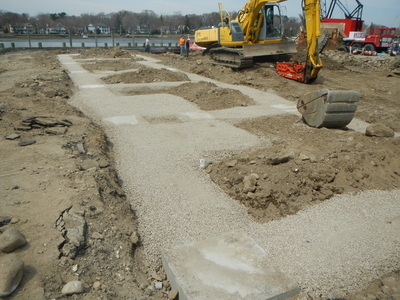 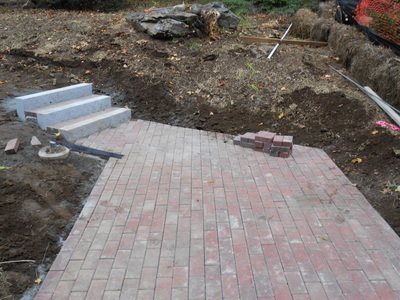 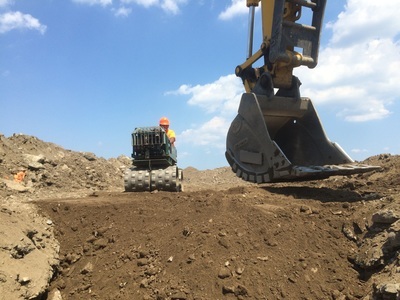 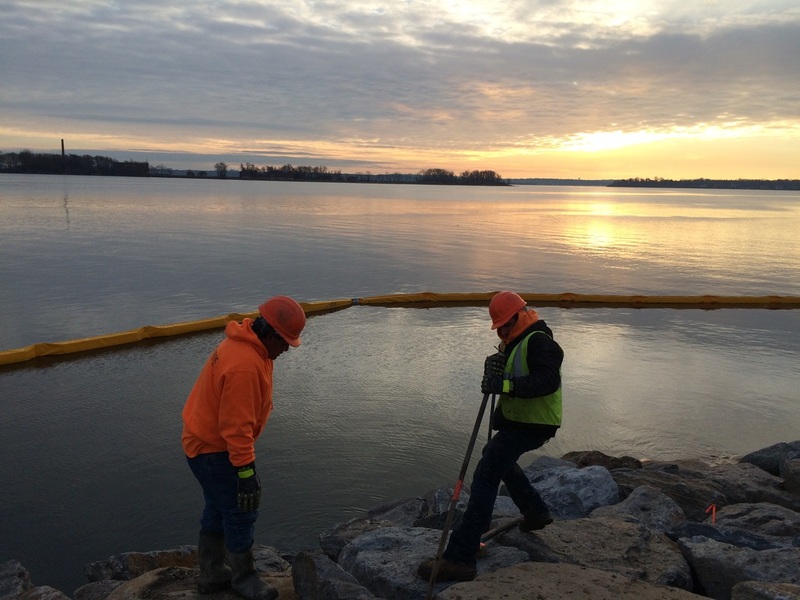 We started in April 2015 and have since then taken part in hardscape, concrete pours, excavation and grading, paving , utility trenching and installation, material reclamation and the construction of a 900 foot rip rap shoreline. 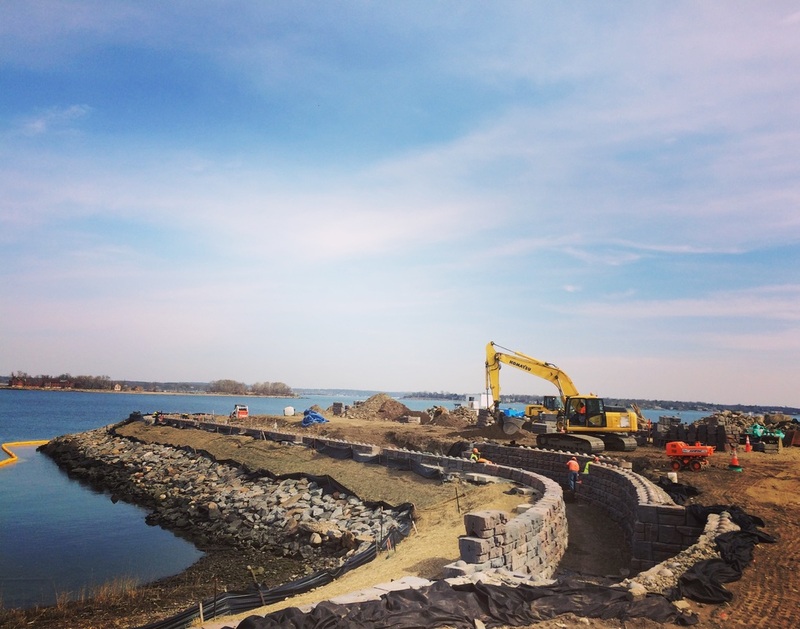 Running alongside the shoreline we created an esplanade that has sitting and eating areas so the prospective residents can enjoy their view of the Long Island Sound. 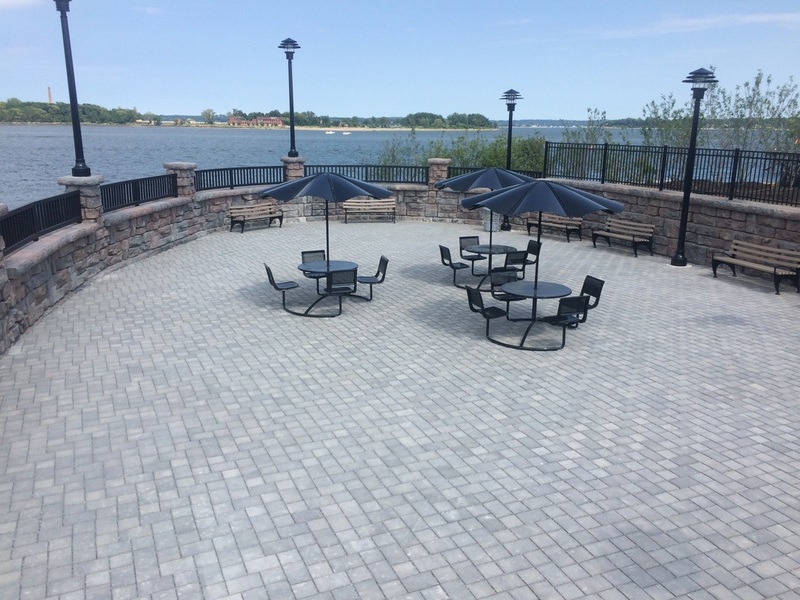 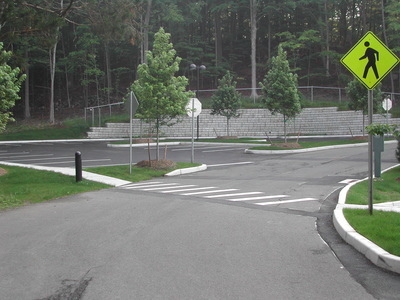 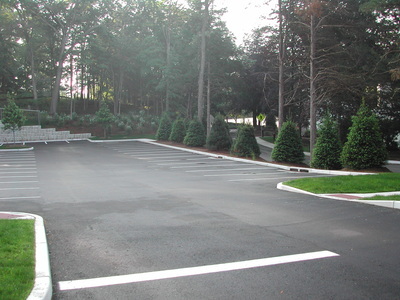 Our company created three parking lots and drainage system for a office park in Western Connecticut. 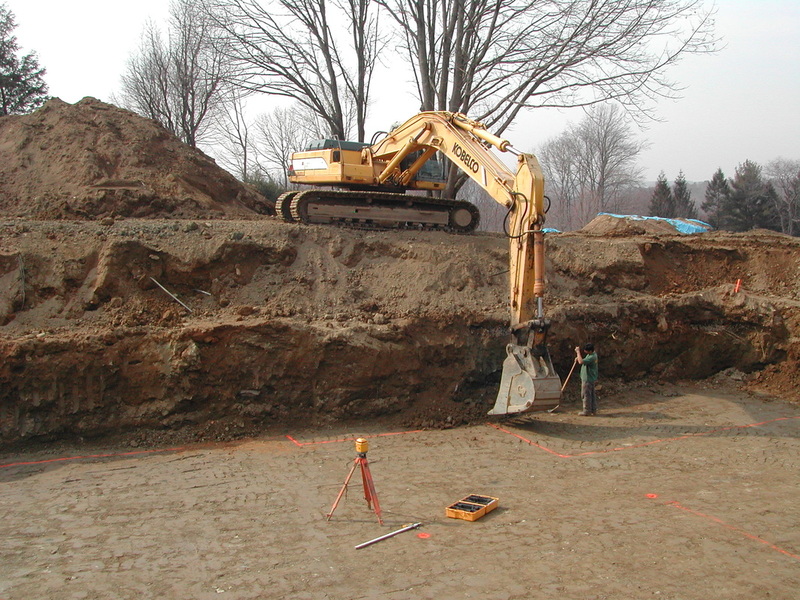 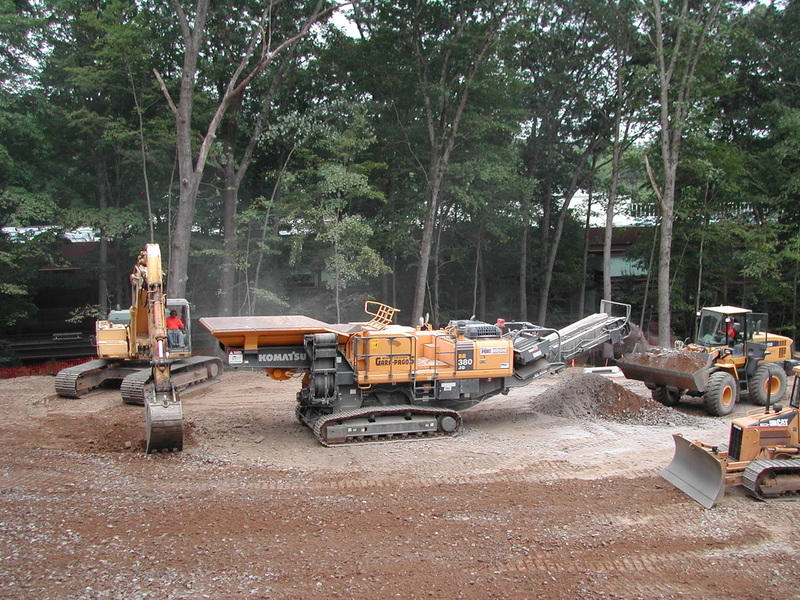 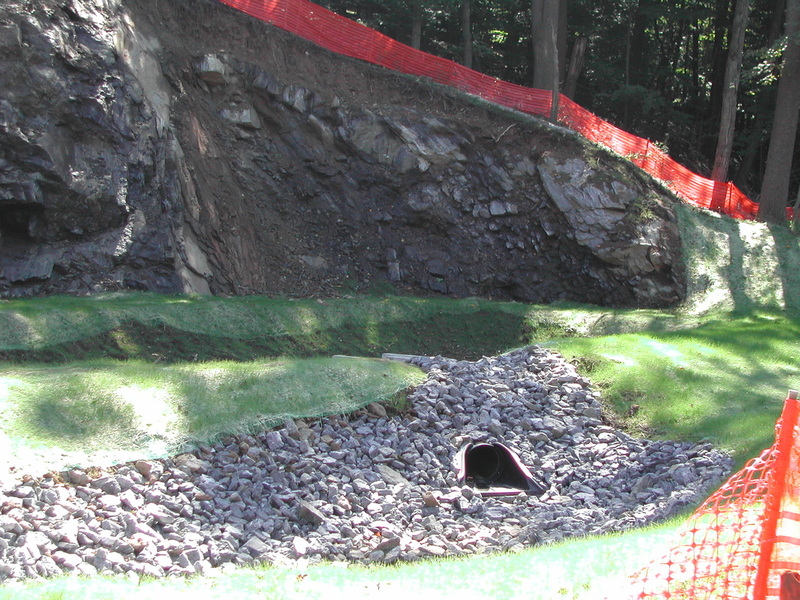 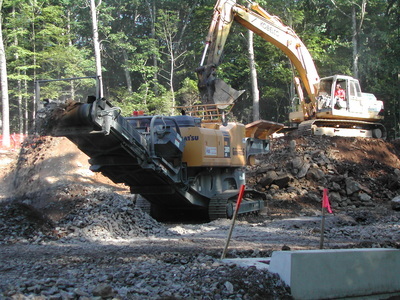 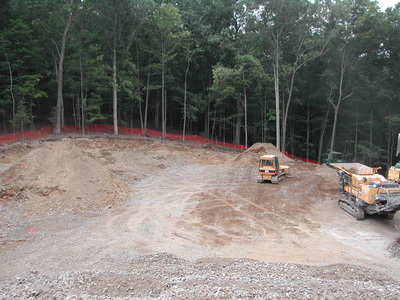 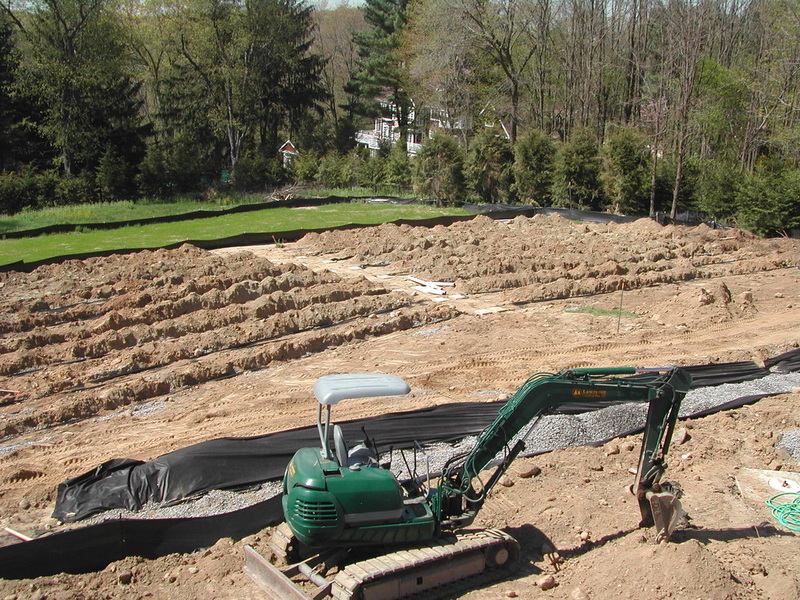 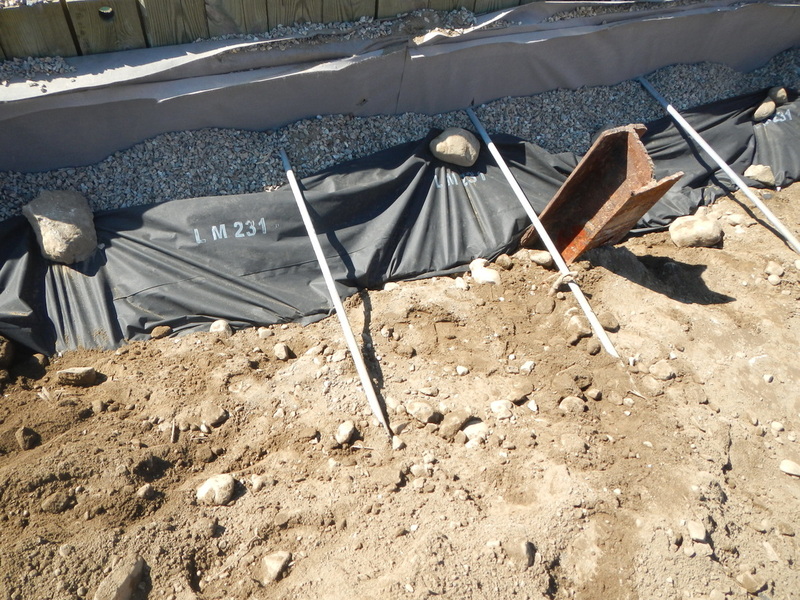 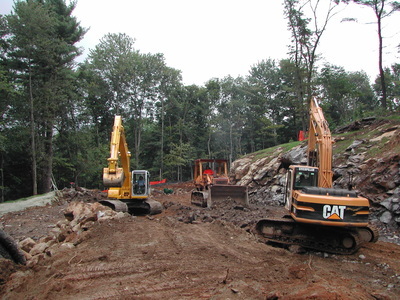 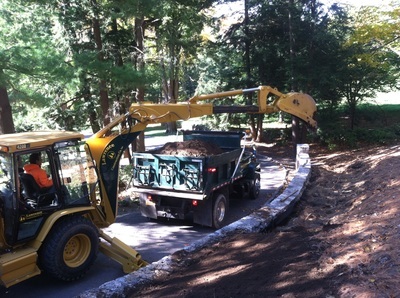 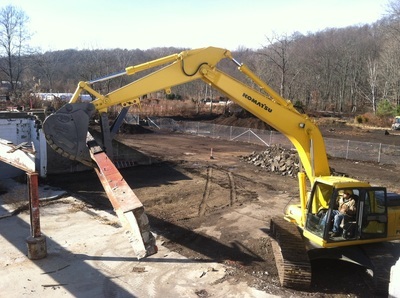 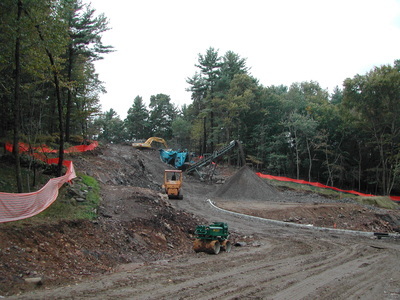 The job included the excavation and grading of undeveloped forest land and the removal of bedrock. 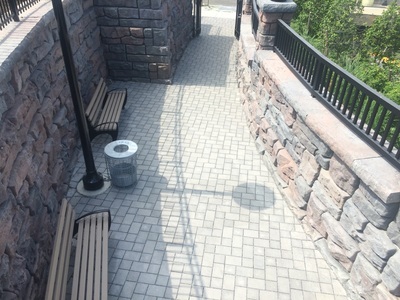 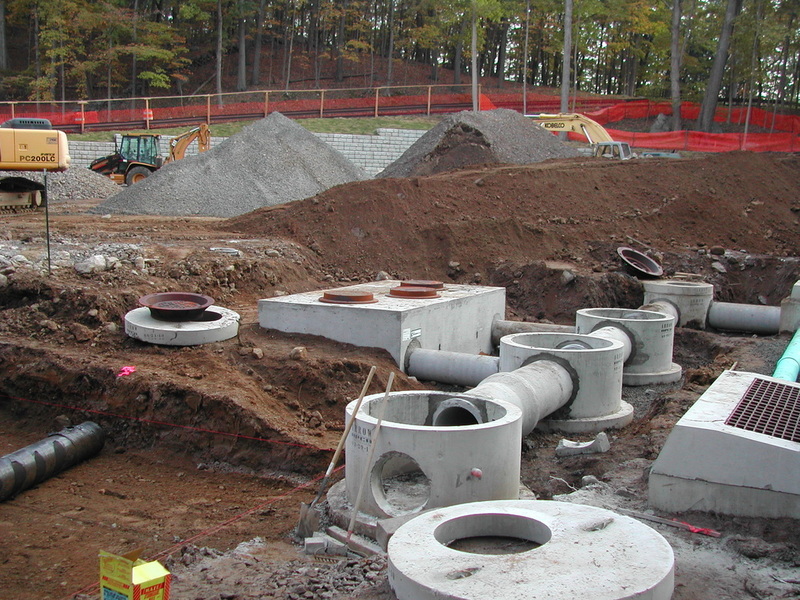 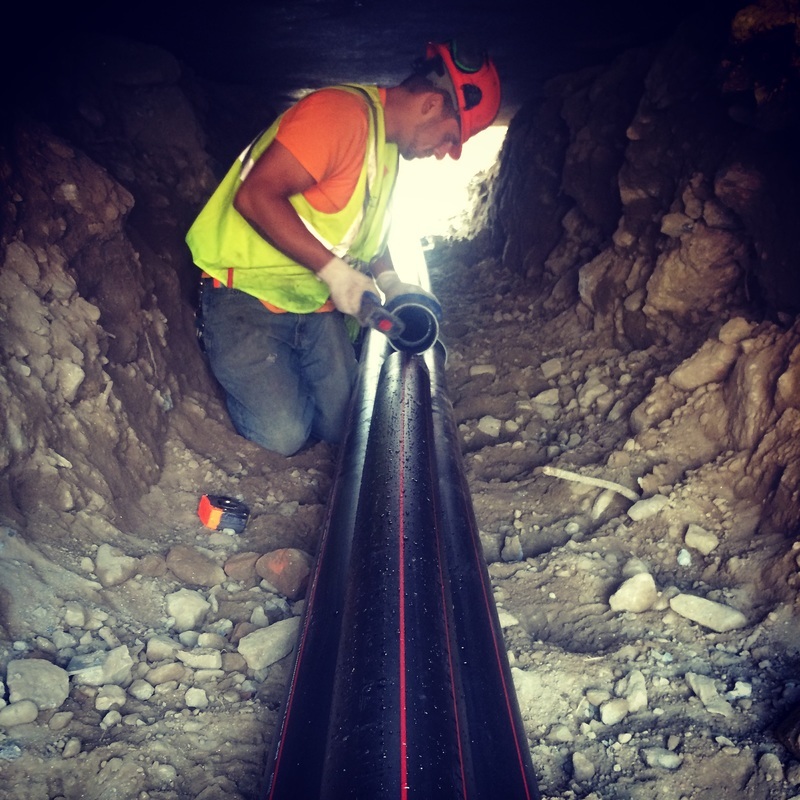 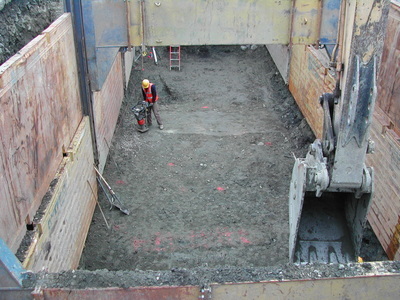 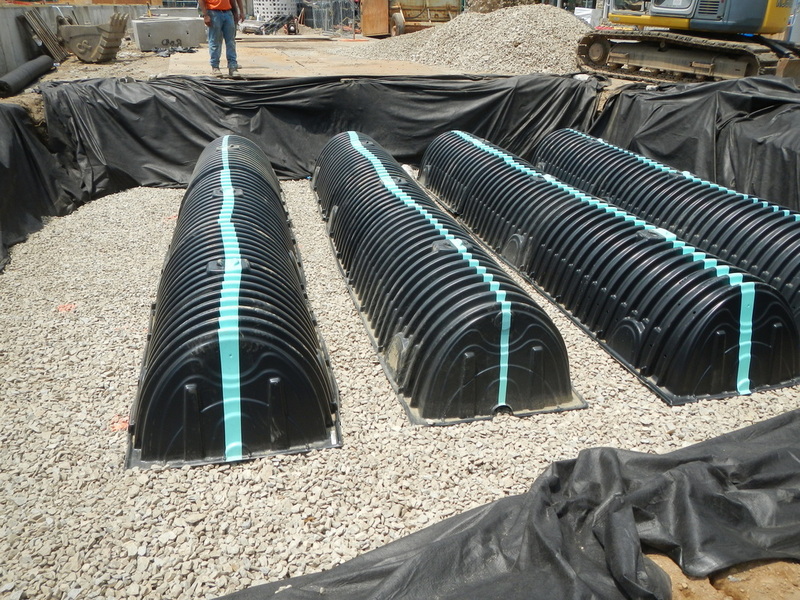 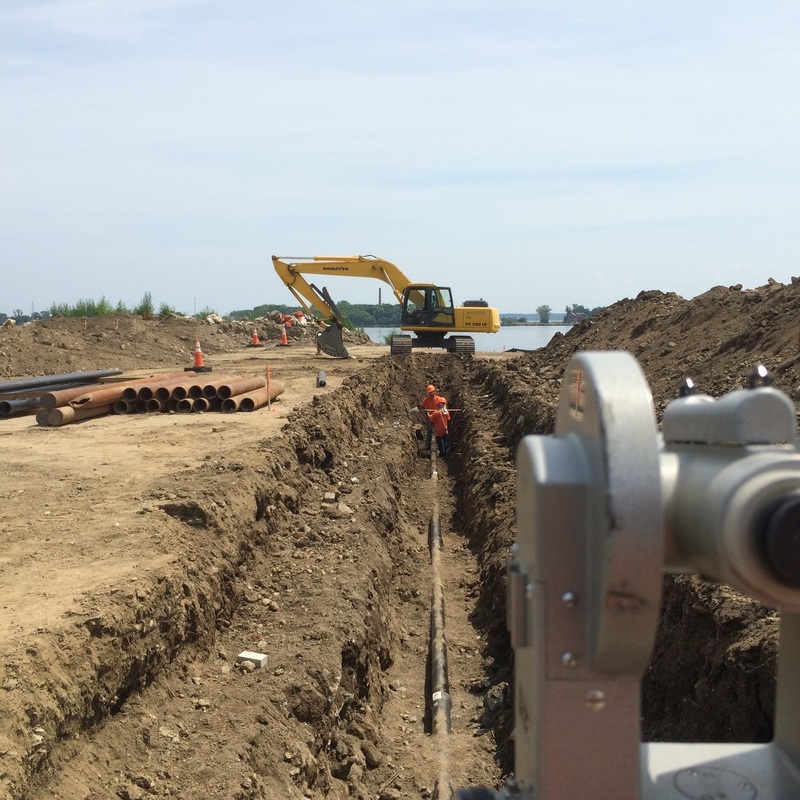 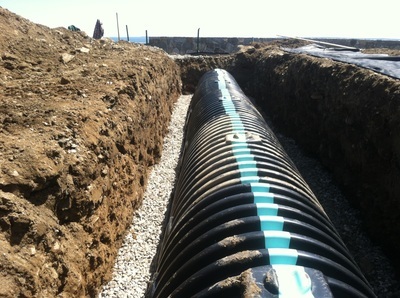 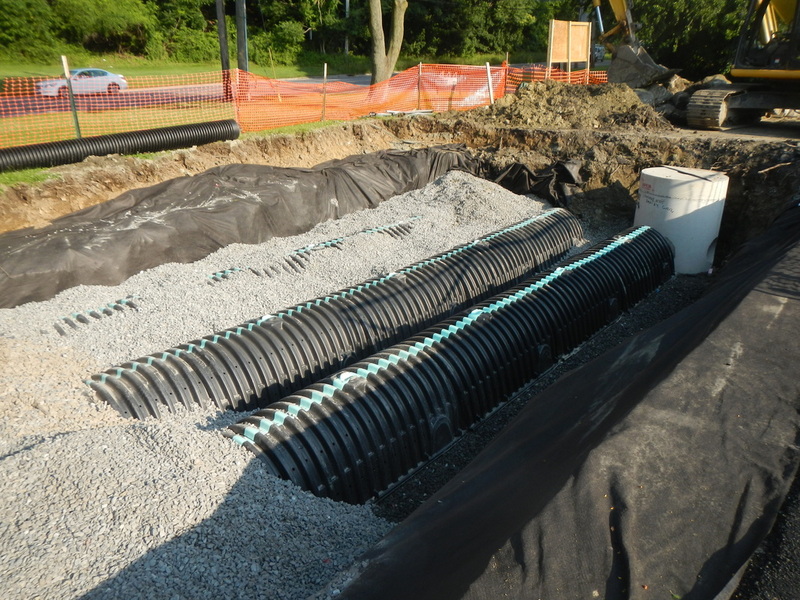 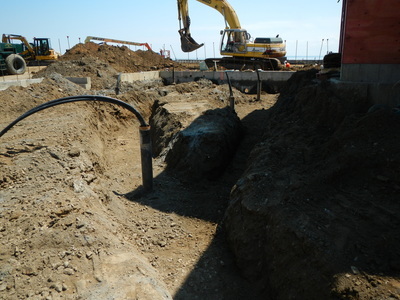 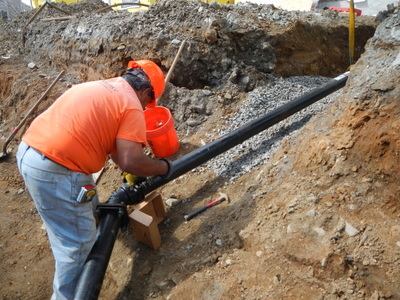 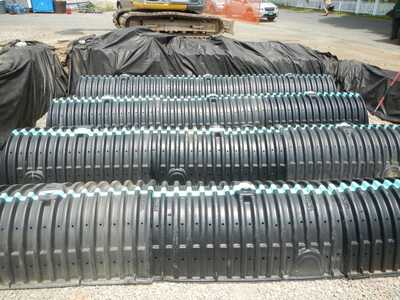 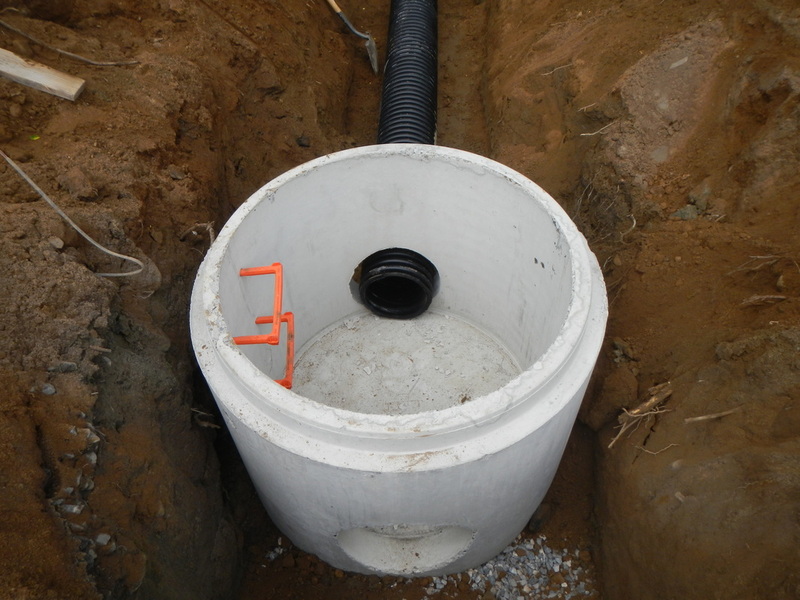 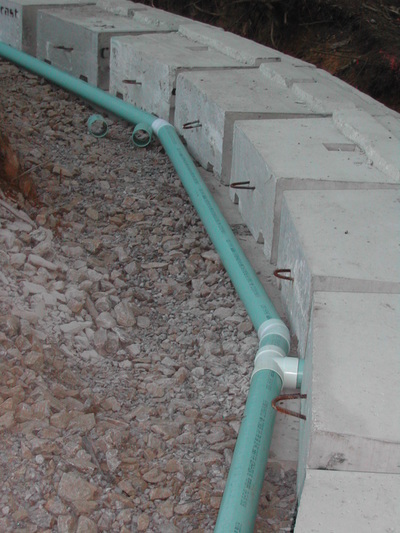 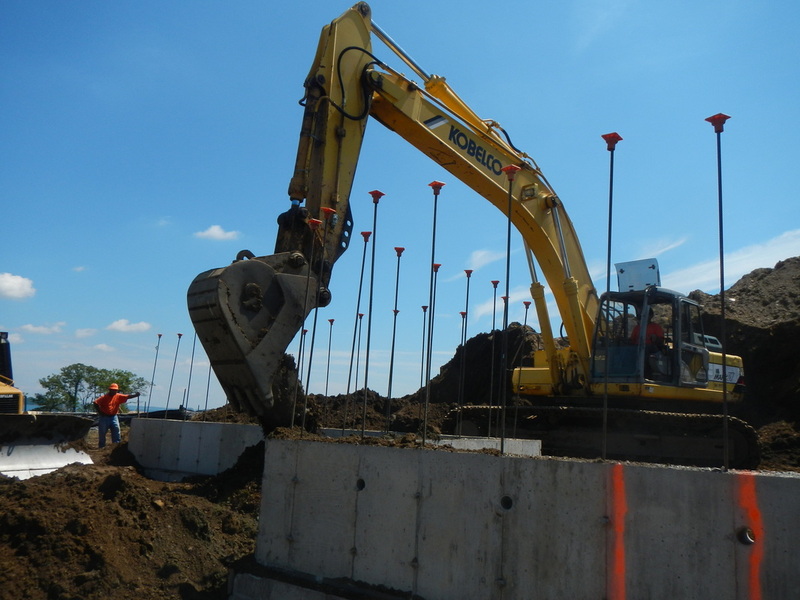 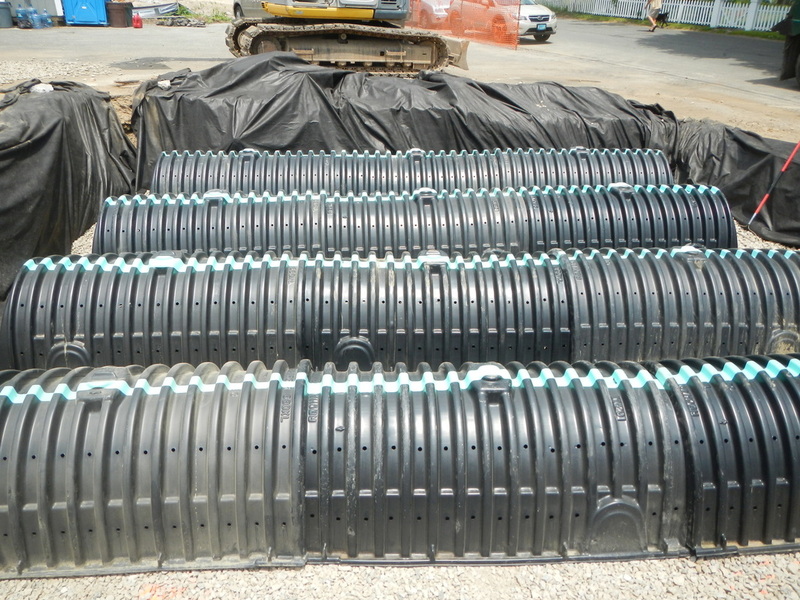 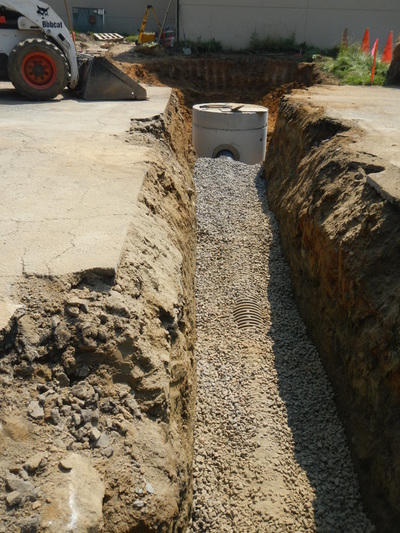 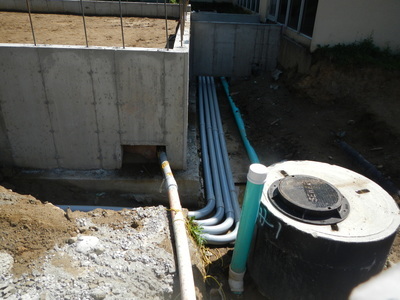 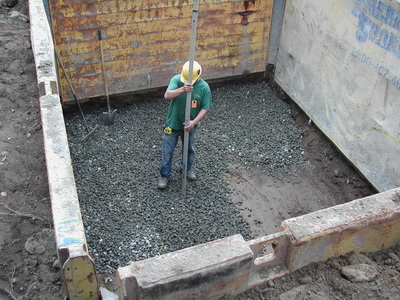 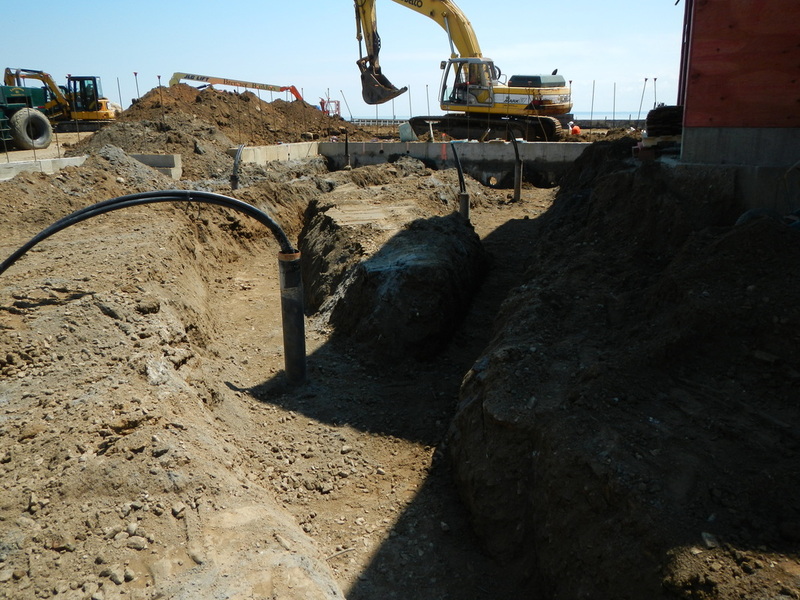 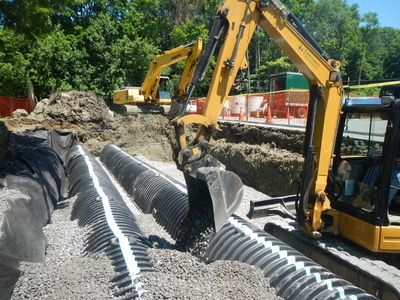 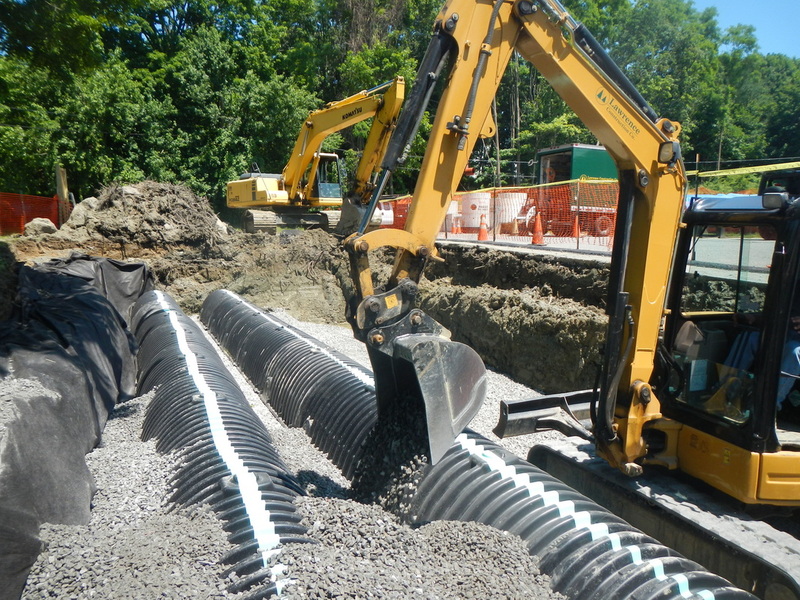 We installed over 1000 feet of precast concrete drainage pipes and manholes. 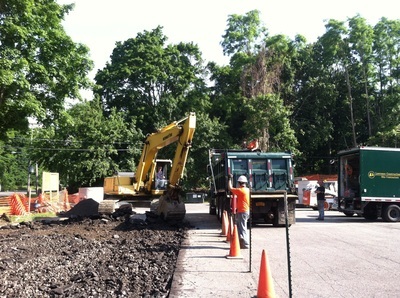 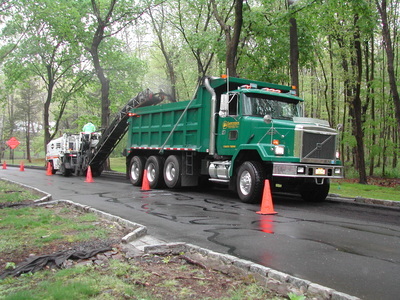 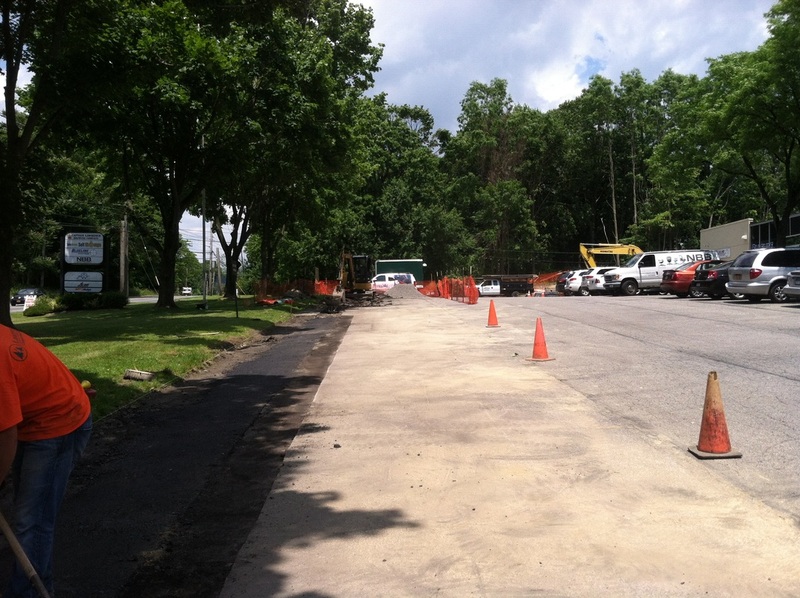 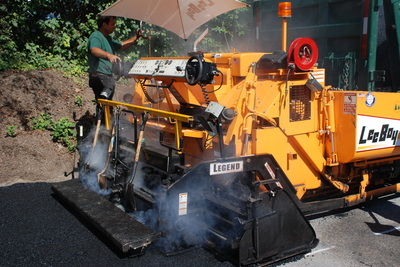 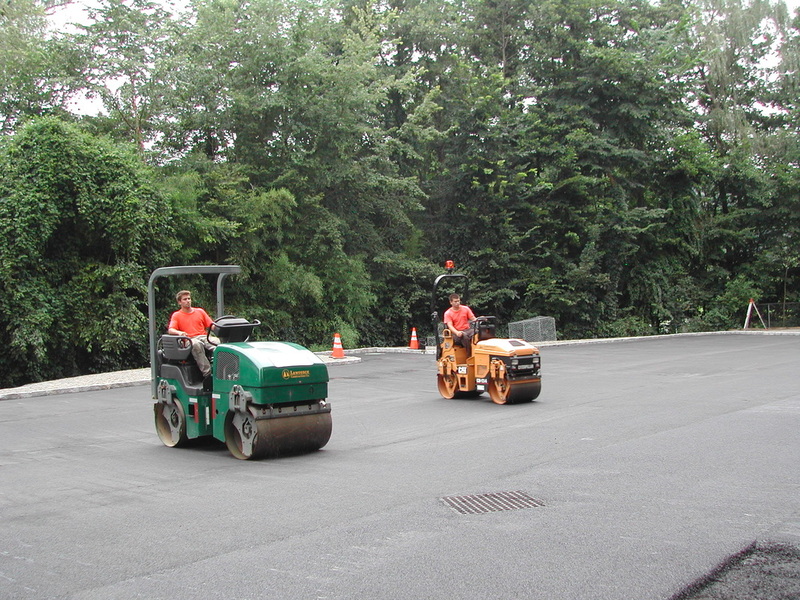 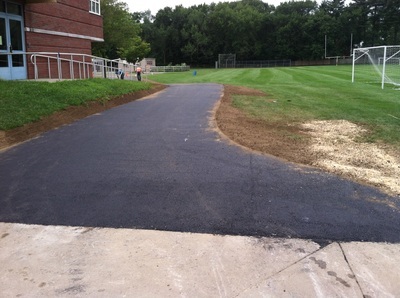 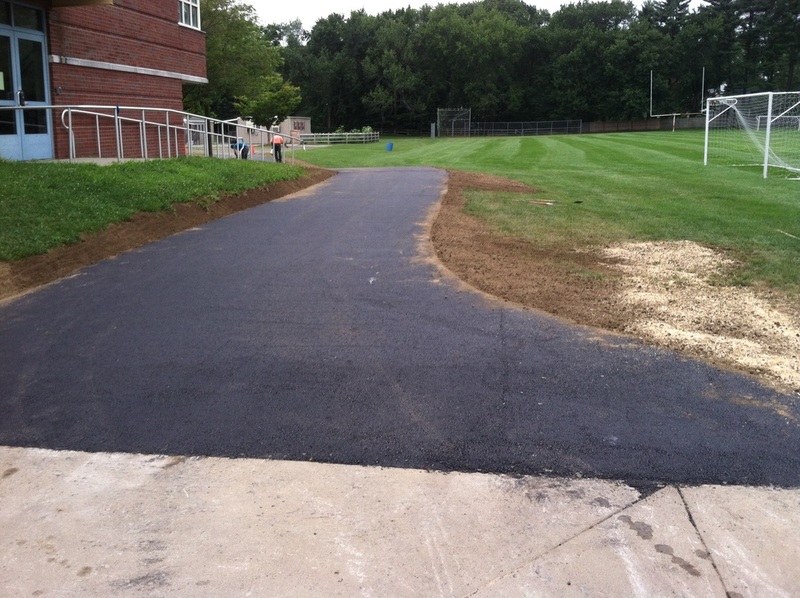 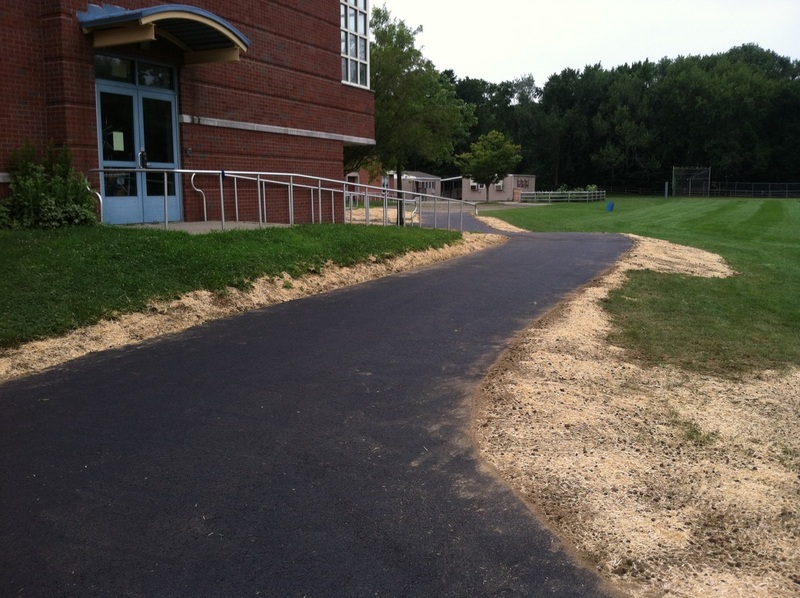 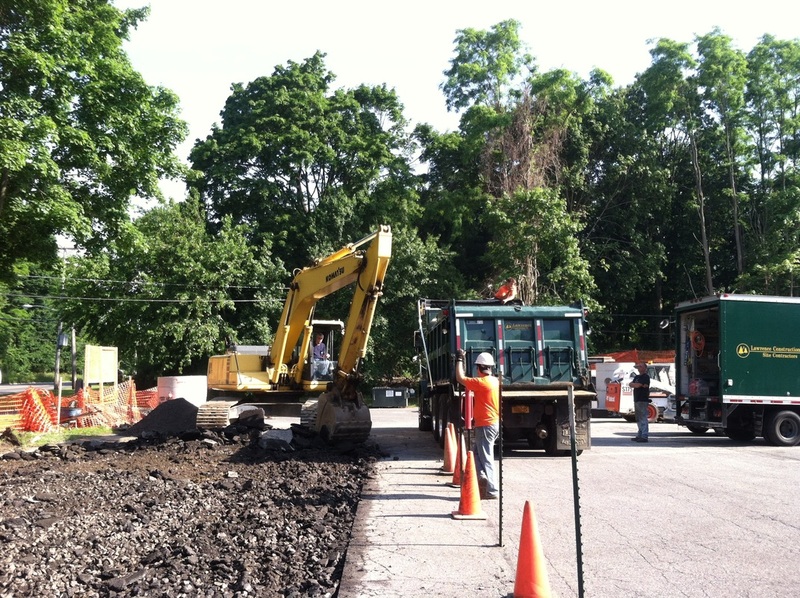 We preformed all the asphalt paving and asphalt curbing ourselves along the roadway and within the new parking areas. The parking areas were enclosed by precast concrete curbing which was also used to create the island within the parking lots. 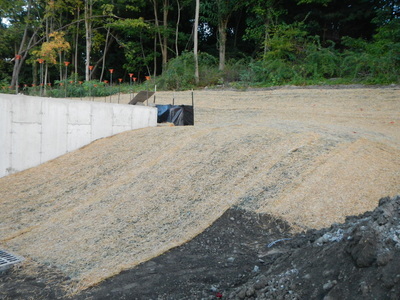 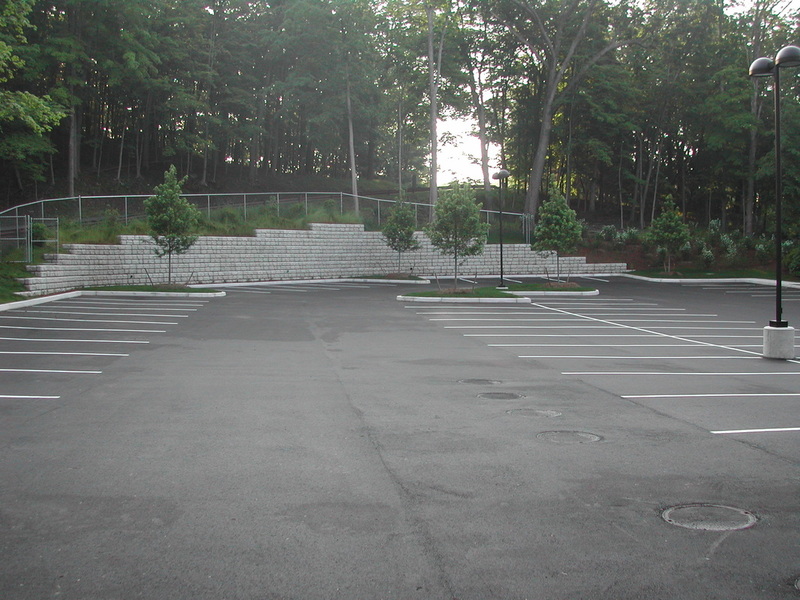 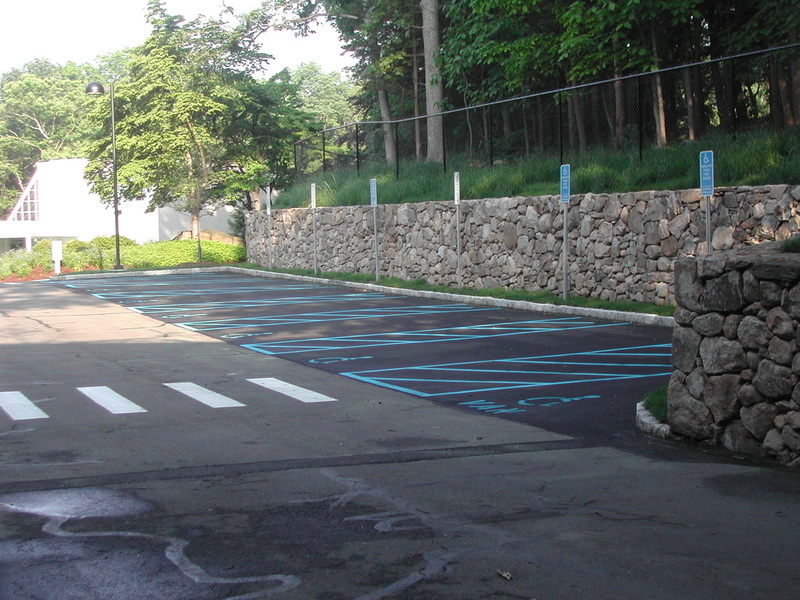 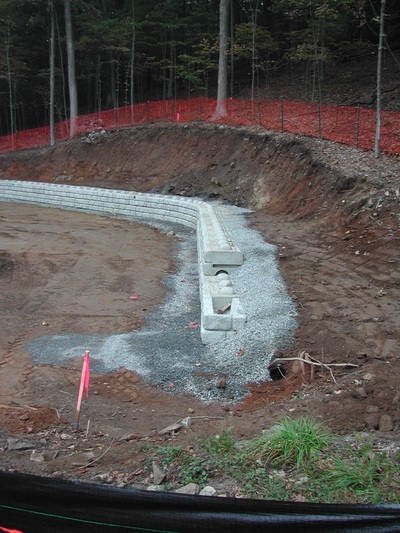 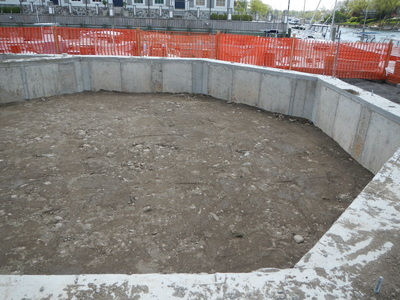 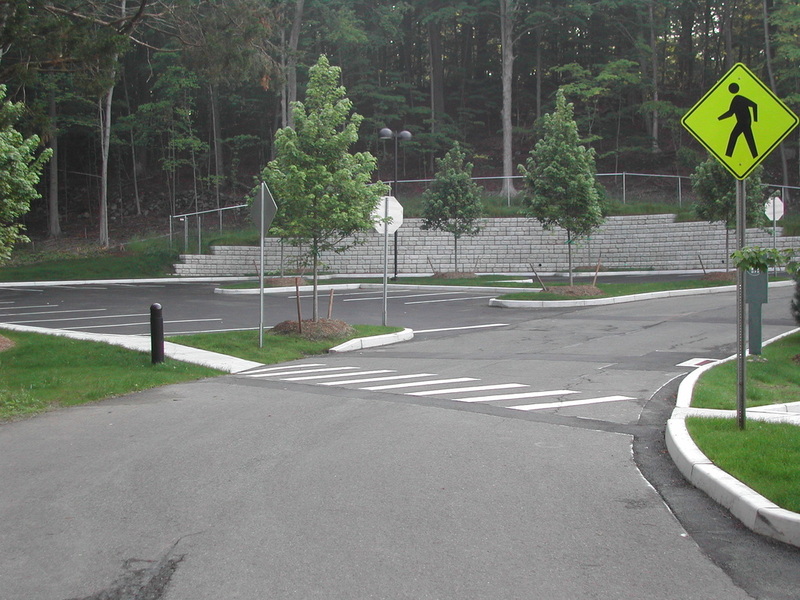 In two of the three parking areas we installed RediRock retaining walls. To provide access from the parking areas to the offices we created a pathways using Unilock pavers and the surrounding landscaping. 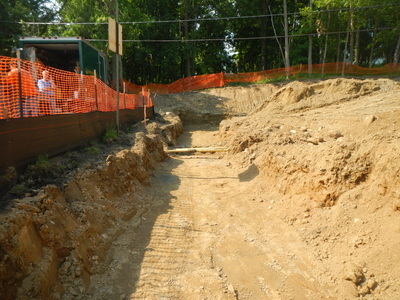 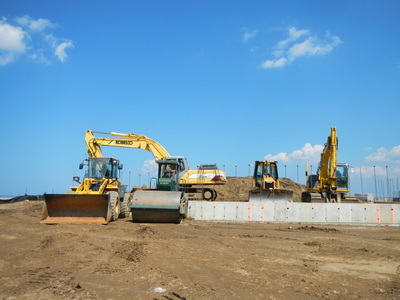 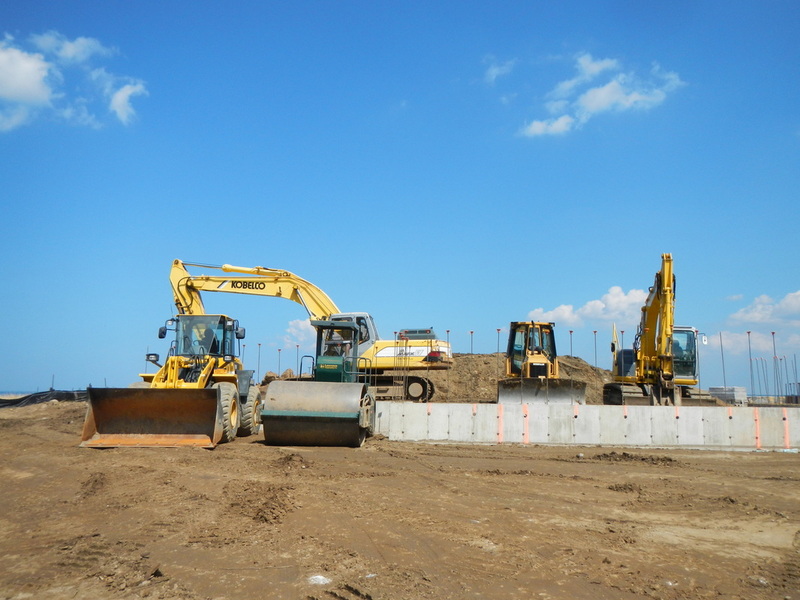 In 2013 our company started the excavation for the Blueline Tactical expansion and shooting range. 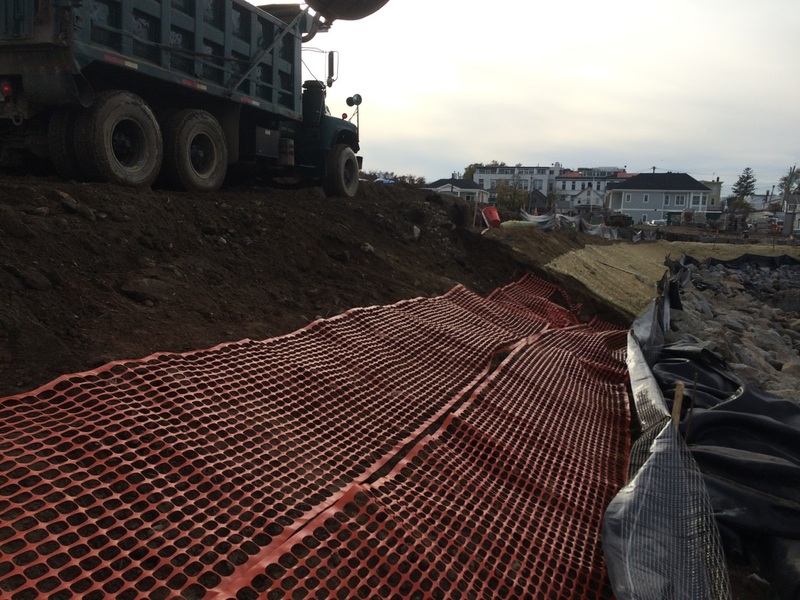 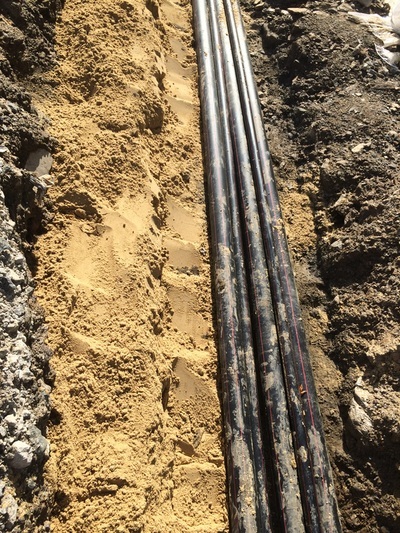 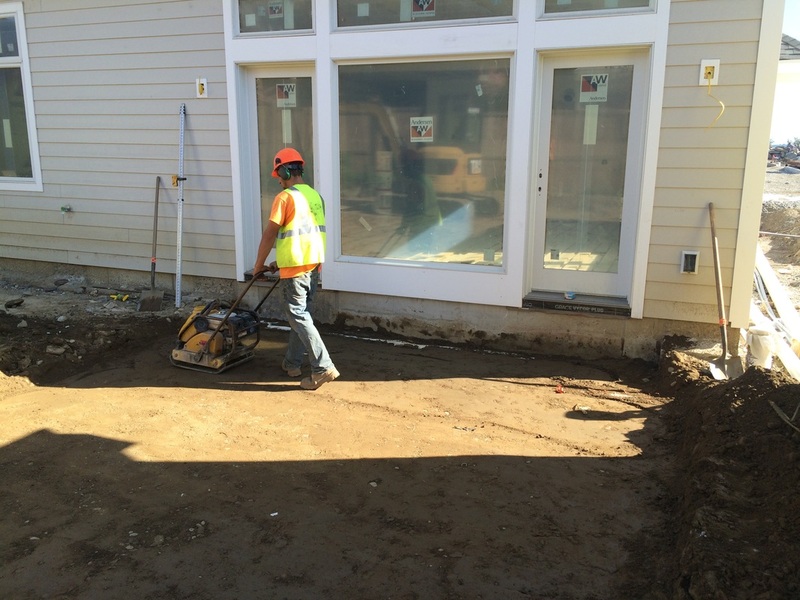 Here we completed footing and slab excavation, trenching and installation of sewer, water, storm water, and electrical utility lines. 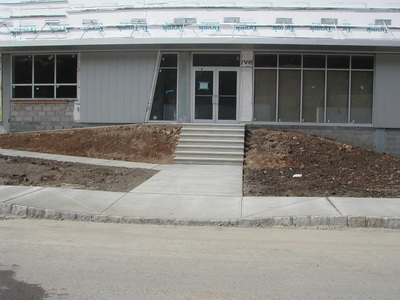 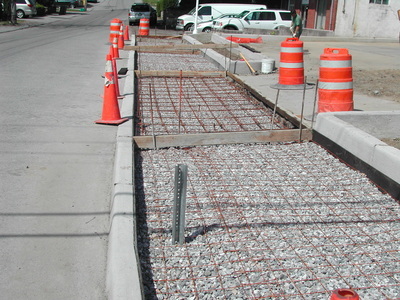 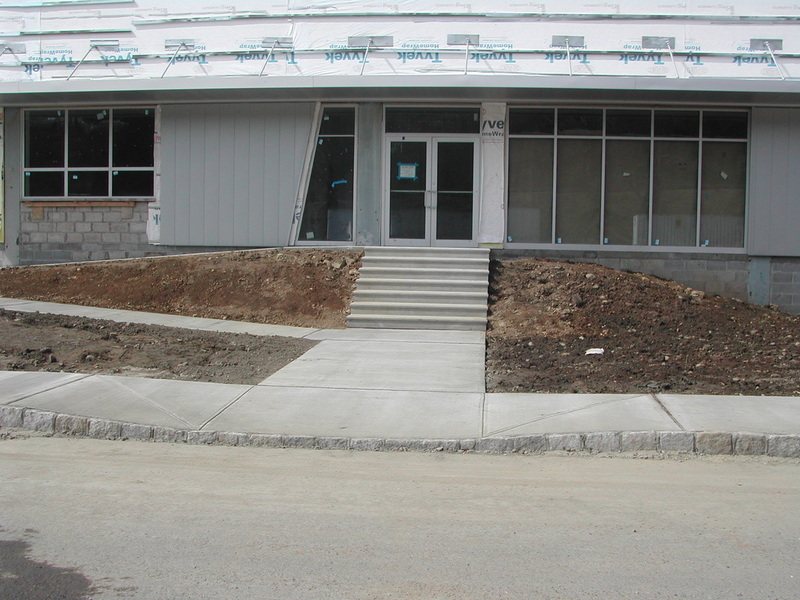 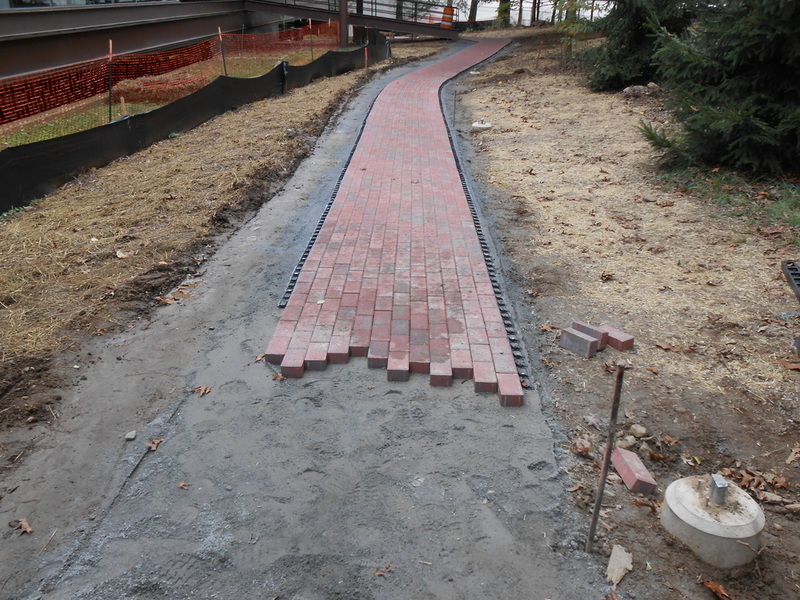 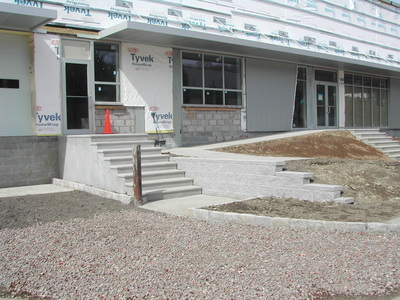 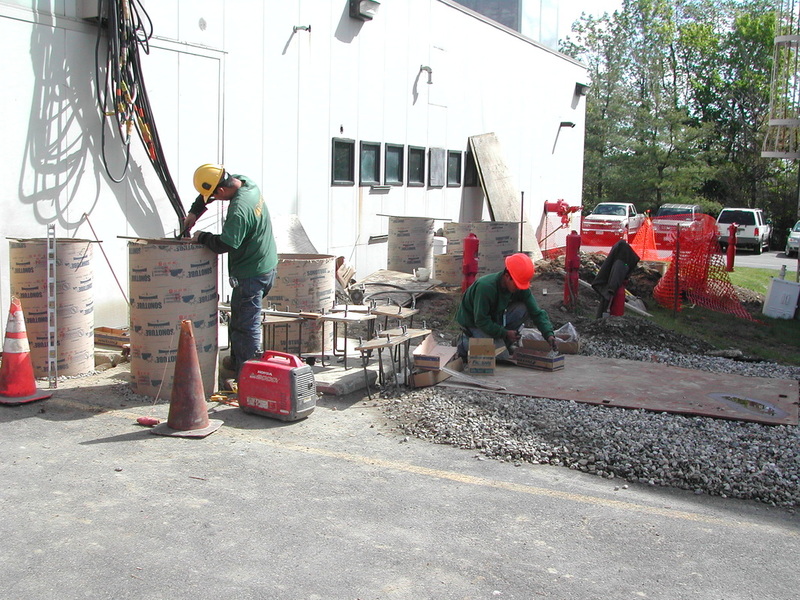 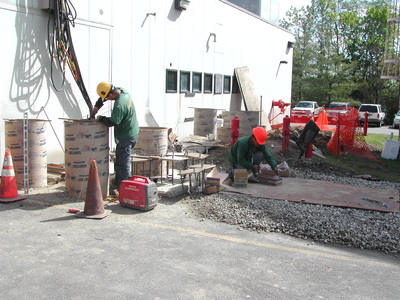 The surrounding concrete sidewalks and curbs were formed and poured by our team. 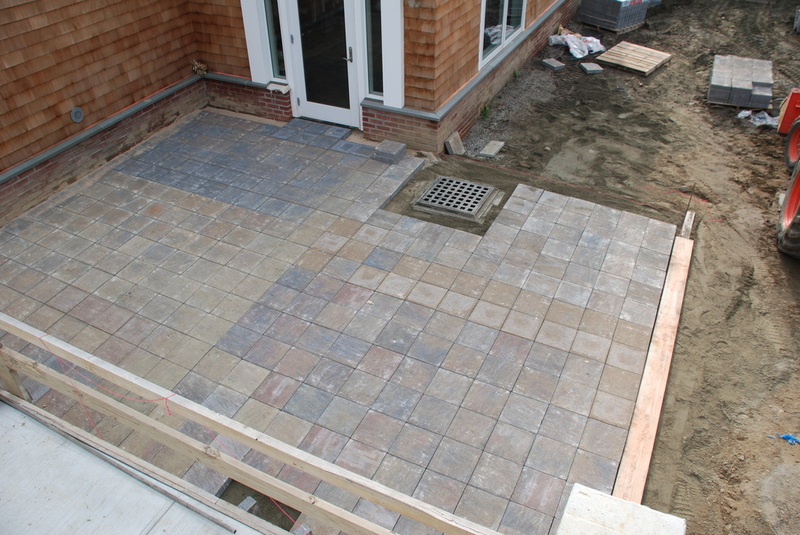 All landscaping and hardscape work within the courtyard was also preformed by LCC. 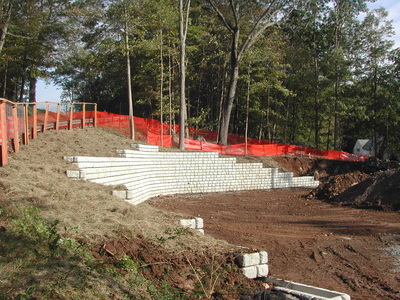 A large site with several multi-acre housing lots. 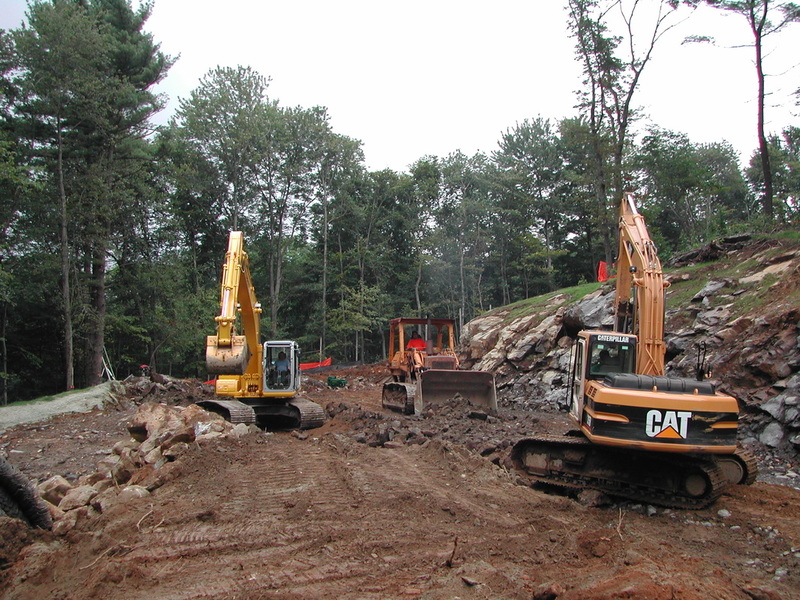 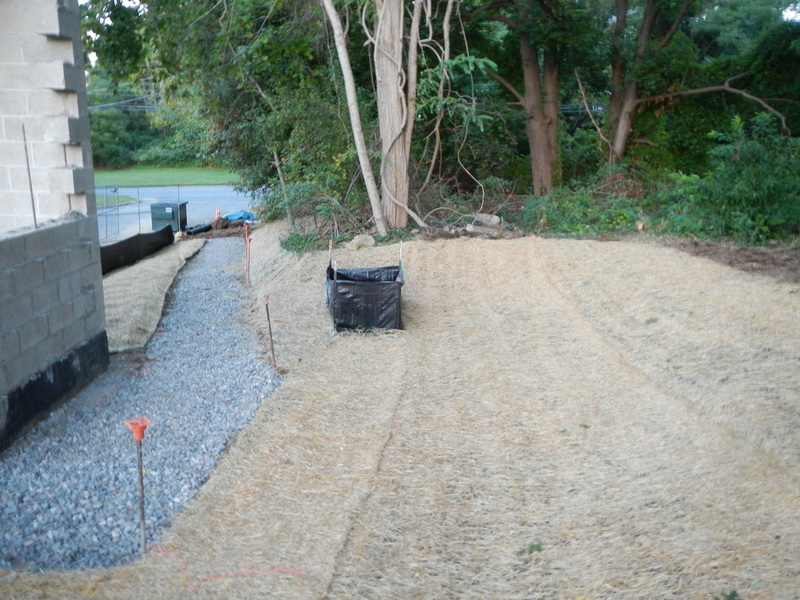 Our company cleared land, blasted bedrock, created the roadways and installed the storm water system.